Home > Submit Your Foras Photos For a Free Gift! We love to see photos of your Foras creations, be it your new water feature or a beautiful display in a vase or planter we want to see it. Your ideas inspire us! That’s why if you send us your photos of your Foras purchases we’ll send you a free little gift, our votive sets of our candle Fragrances. Once lit our hand mixed fragrances of Sea salted Fig, Red Amber & Clove and Sparkling Spice smell amazing and burn for 12 hours. Terms and conditions apply: By uploading your images, you are agreeing to be contacted by Foras and for Foras to use your images for marketing purposes. Foras reserve the right to decline an image based on image quality and content. Foras will contact you directly to advise if this is the case. Only images containing Foras products will be accepted. You must own the copyright of the submitted image and you are happy to release copyright to Foras Ltd on submission. 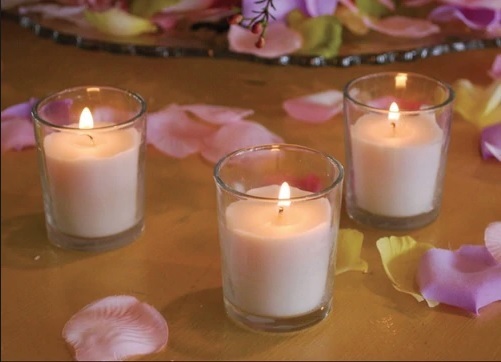 Please allow up to 10 working days for your free Foras Votive Set to arrive once you have uploaded your image. Only one free Votive Set per person will be allocated. Free Gifts are subject to availability and can be changed at any time. No cash alternative is available. Foras reserves the right to withdraw the promotional offer at any time.